Click for a larger image of the IRL Wordcloud. 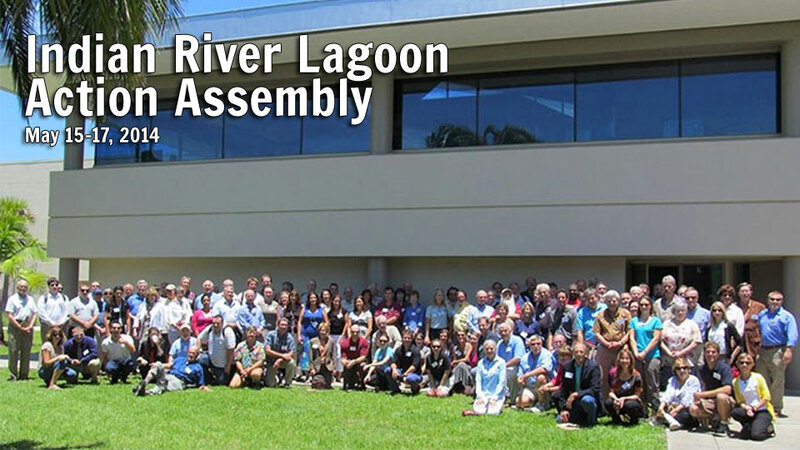 Marine Resources Council successfully coordinated the Lagoon Action Assembly that involved over one hundred community leaders in facilitated discourse about the crisis we are facing with the collapse of the Indian River Lagoon. The Inaugural Night Event included notable State Representatives Larry Lee and Perry Thurston as well as prior Chairman of the Chesapeake Bay Foundation who talked about the successes and challenges they face in the Chesapeake Bay. Thereafter, two days of problem-solving was facilitated at the Florida Institute of Technology starting with presentations by scientists and program administrators on the issues in the Indian River Lagoon. 1. Develop a lagoon-wide, long term public education program such as “Be Floridian” that affects behavior change through incentives and communications. 2. Establish and fund a “State of the Lagoon” report similar to the Chesapeake Bay Foundation Report Card that includes social and ecological indicators. Define appropriate pollutant, habitat, species, socio-economic, and behavioral metrics. Report monitoring results back to the community in appropriate formats. 3. Remove and reduce muck by implementing a comprehensive muck management plan. Prevent muck by addressing sources. Investigate beneficial uses of muck. Monitor muck accumulation and movement. 4. Reduce impacts from septic tanks. Complete a lagoon-wide mapping project. Prioritize septic tanks based on their likelihood to impact the Lagoon. Investigate and assign corrective actions. Identify sources of nutrients (nitrogen and phosphorus), bacteria, pharmaceuticals, and toxins and calculate relative loads. Retrofit aging storm water systems. Promote retention/detention and water reuse on residential and agricultural lands. Implement street sweeping programs to prevent pollutants from entering storm drains. Work to implement the FDEP statewide storm water rule to reduce pollutants from new development. Presentations from the assembly are available here. The delegates were divided into nine working groups to better work on problem-solving sessions. Browse the Action Assembly Photo Gallery on MRC’s Facebook page. June 1, 2018 61dugong Comments Off on What Is LagoonWatch?